California Penal Code § 243(e) defines domestic battery. In a nutshell domestic battery is battery against a spouse, fiancé, person you date, cohabitant, parent of your child, your current or former spouse or dating partner. A violation of this section does not require physical injury, unlike California Penal Code § 273.5 which requires a “traumatic condition.” This section can only be charged as a misdemeanor. California Penal Code 273.5 defines domestic battery causing a traumatic condition. Essentially Domestic Battery Causing A Traumatic Condition is a battery against a spouse, former spouse, cohabitant or former cohabitant, fiancé, or someone the suspect has or had a dating relationship which causes a wound, external or internal injury, including but not limited to injury resulting from strangulation or suffocation. 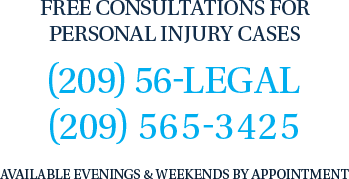 The injury can be minor or major to qualify as a traumatic condition. This section is a “wobbler” which means it can be charged as a felony or misdemeanor. If charged as a misdemeanor the maximum time in custody is 1 year. If charged as a felony the sentencing triad is 2 years, 3 years or 4 years and a fine up to $10,000 dollars. In addition if the injury is more aggravated an enhancement of great bodily injury under California Penal Code §12022.7 can be added to the domestic violence charge increasing the punishment by an additional 3 years, 4 years or 5 years. Therefore a domestic violence battery causing great bodily injury could land a person in prison up to 9 years. California Penal Code § 422 makes it illegal to willfully threat to kill or cause bodily injury to someone where the threat is communicated to that person, is intended as a threat, is clear and immediate, unconditional and specific, which causes reasonable fear under the circumstances. See the Criminal Threats section of this website for more information. If convicted of criminal threats against a person who qualifies as a domestic violence victim, then additional domestic violence penalties apply such as a domestic violence class, firearms ban, higher fines, and more restrictive probation terms such as a criminal protective order and formal probation. California Penal Code 136.1 makes it illegal to intimidate or dissuade a witness from testifying or reporting a crime to police. When the named victim is a domestic violence victim, then the crime qualifies as a domestic violence charge and comes with the extra domestic violence consequences such as firearms ban, domestic violence classes and more restrictive probation terms. Under California Penal Code § 594 vandalism is defined as maliciously defacing, damaging or destroying the property belonging to another. Vandalism against a person that qualifies as a domestic violence victim makes the vandalism charge a domestic violence case and all the consequences of a domestic violence conviction follows. This charge is common where a couple breaks up and one party goes to the other parties house and breaks out the windows or slashes that persons tires because they are angry.